You can see how our premium themes work with your content. (Doesn’t work for free themes). 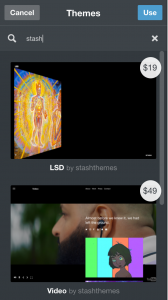 In the Tumblr customize screen press Browse Themes and search for stash.